Eastern Pacific Shipping exercised an option connected with an order for 5 × 15,000-TEU containerships placed in November 2017, and requested another six vessels. All 11 engines involved in the order will be powered by MAN B&W-branded two-stroke engines. The first five engines will be conventional MAN B&W 11G90ME-C units equipped with scrubbers that are due for delivery between 2019-2020. The additional six units will be built as MAN B&W 11G90ME-GI dual-fuel configurations operating on LNG with delivery dates scheduled between 2020-2022. Each of the 11 neo-Panamax boxships will be built at Hyundai Samho Heavy Industries (HSHI). 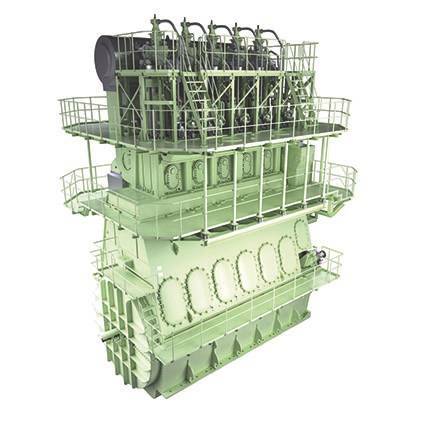 MAN Energy Solutions developed the PVU as a standardized, compact, high-quality pump unit for the supply of LNG to MAN B&W two-stroke ME-GI engines.